I think that on average I’m more comfortable with uncertainty than others. People were glued to the TV screens for weeks during the O. J. Simpson trial, and just recently there has been continuous coverage of the Boston Marathon bombing. I want to know what’s happening, but beyond that I’d rather wait a few months and see how it turns out rather than watch every detail unfold, grab onto every detail, and make up my mind prematurely. I’m content to watch the PBS News Hour every few days to keep up. Was Obama a good or a bad President? Historians should have that worked out in 30-40 years. 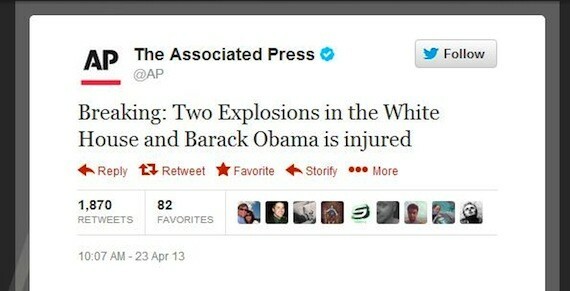 Going back to the Boston Marathon bombings, I recall that there were false news reports about the number of bombs (3 vs 2) and that a Saudi subject had been detained. Rushing to know and rushing to judge can lead to mistakes. The Obama conspiracy manipulators use anxiety about uncertainty as a tool, emphasizing what is not known (true or not) about President Obama. Personally, I’d be content to wait 10-15 years when the Obama Presidential Library opens, to see his birth certificate and maybe his college transcripts. And if I don’t make it that long, no big loss. Life is full of unknowns and I’m comfortable with that. There’s a great book by Bruce Schneier, Beyond Fear: Thinking Sensibly About Security in an Uncertain World, that I heartily recommend. 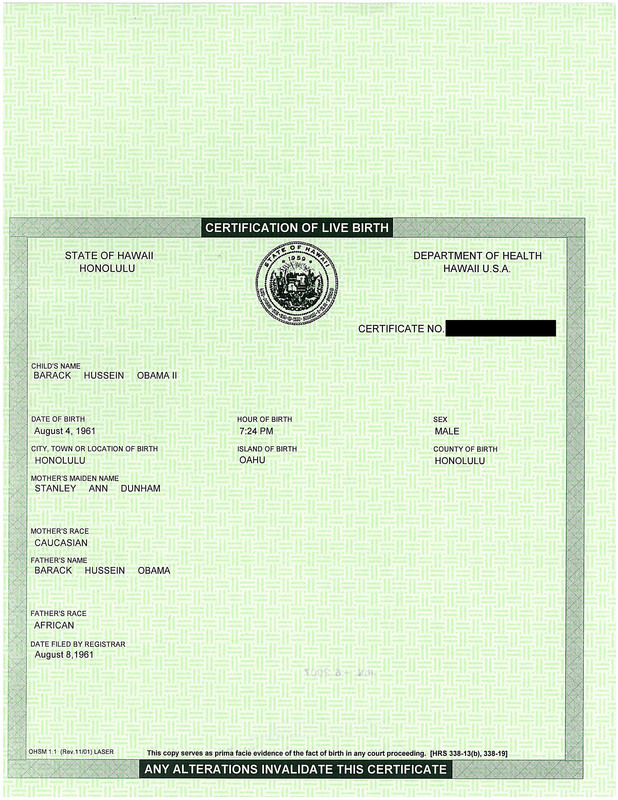 To Lasky’s credit, Obama’s birth certificate is not among the imagined missing documents—that topic was raised by someone else today. Apparently Obama read this article because a few hours after its publication, the President, addressing the annual White House Correspondents Dinner, mentioned how people had suggested that his presidential library should be in his birth place but he said he preferred it to be in the United States. 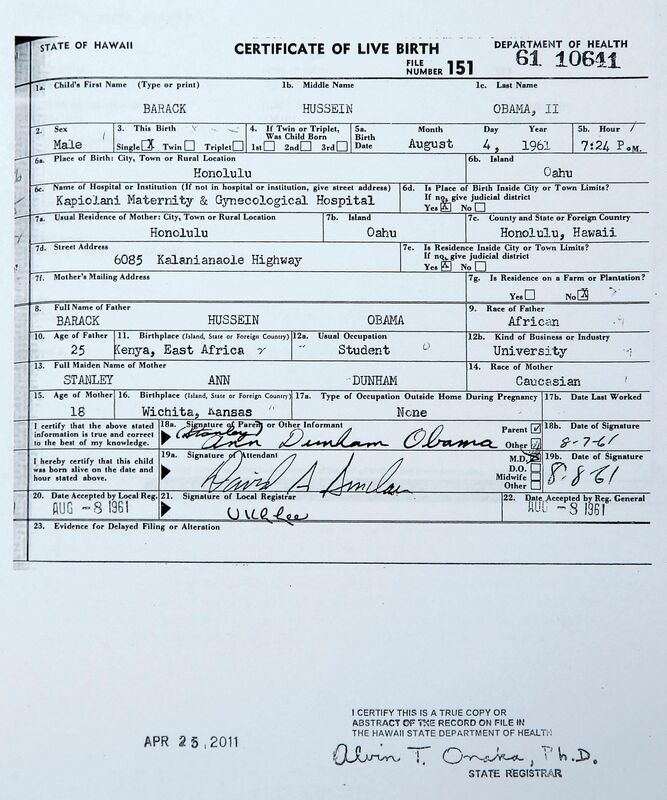 In order to accept the claim that President Obama’s birth certificate is a forgery, one has to buy into a conspiracy theory so vast and byzantine that it sincerely taxes the imagination of reasonable minds. This is very different from much of what I write, because I bear in mind that my readers include normal, well-educated citizens, but also birthers. That quotation preceding means nothing to a birther. There are some things that you simply cannot say to birthers without receiving well-worn rejoinders, nonsense, but predictable. It might be said that I over qualify, and over document the obvious and I might be guilty of what one of my bosses said never to do: negotiate against myself. Certainly things like “you’ve lost 200 cases already,” “no competent scholar agrees with you” or “your evidence is not admissible and your experts are not qualified,” while damning observations to normal folks, are essentially meaningless to birthers. To be a birther at this late date requires the acquisition of immunity from rational objections. For me, the takeaway is that I am better off reconciling myself to the fact that birthers do not think like I do, and that nothing I say is going to have any impact on what they say or do. I should talk to the normals and let the birthers take care of themselves. This is in line with the third great life insight I discovered1: some things are my problem and some are not. 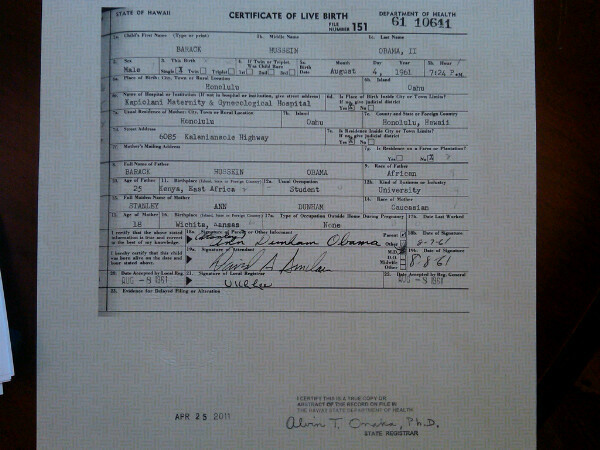 Your being a birther is not my problem. Life is difficult (from Scott Peck’s book The Road Less Traveled). 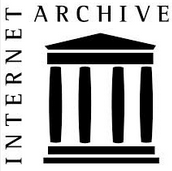 …the Alabama Democratic Party has an interest in ensuring that future Alabama Secretaries of State are not allowed to disqualify a party’s nominees based internet rumors and unfounded assertions regarding their qualifications. It is perhaps these circumstances that led the Democrats to make sure that no stone was left unturned in defending against this appeal, already rejected by the Montgomery Circuit Court. A county sheriff from Arizona is not an “official source” of anything in Alabama. I haven’t held a contest in ages. This is a serial scavenger hunt. 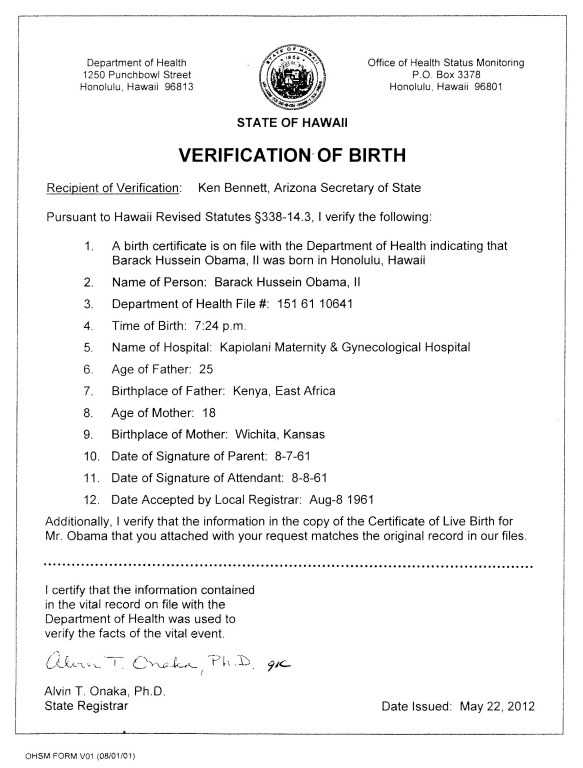 The object is to find an image on the Internet of whatever birther-themed thing is requested and post the link. When someone finds the image and posts the link, that person gets to propose the next image. To keep things serial, make sure no one has already posted the solution before you post yours. It may be useful to work out your own challenges well in advance. Find an image of Orly Taitz and a dentist’s chair. In keeping with the birther theme, the decision of the judges is not final. It was a good day for Justice in Vermont! 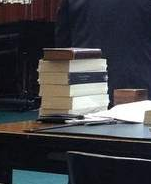 H. Brooke Paige tried to impress the Vermont Supreme Court yesterday with a thick pile of books1 that he at one point attempted to approach and hand to them, violating their personal judicial space, and according to the Burlington Free Press, raising some alarm. Paige is one of those crazy Vattelians. Paige focuses just on what supports his theories, interpreting the evidence as if the theory were fact, and excluding everything against it, and so cannot objectively evaluate evidence. The judges were more interested in the law. Reportedly birther attorney Mario Apuzzo, who has argued classic birther conspiracy theories on behalf of Charles Kerchner, helped Paige with his arguments. The Vermont Superior Court previously rejected Paige’s definition of “natural born citizen,” repeating the conclusions of many other courts on this question.